When creating or polishing up your resume, a key to standing out is to highlight your transferable skills. Even if you are changing fields completely, many experiences and skills can work in differing careers. Knowing which skills are transferable and knowing how to communicate this knowledge is vital. It starts by demonstrating that you understand that you are applying for a role that doesn’t appear to naturally align with your past positions; but you need to be able to quickly and effectively communicate how your skills will transfer. Don’t neglect to use your cover letter to draw attention to your interest in the new position and to plainly state what you do know about the job (via the job description). The cover letter is a way to snag your interviewer’s attention and to set the tone leading into your resume. 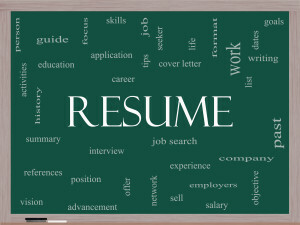 Be sure to steer both the letter and the resume toward the job/field that you are applying. One candidate we spoke with shared how he made a jump from a project IT position into operational management. One key to his jump was how he dissected his seemingly unrelated work in the IT field into key ingredients needed for management. He noted times and success stories in which he did manage staff/plans/vendors/projects, and highlighted how he had leveraged technology to usher in organizational change, and how he helped train and transition individuals through the change. Suddenly, it wasn’t so difficult to see how an IT project professional might be a nice fit for an operational role in a different industry. Another key in this candidate’s successful transition from one industry to another was the emphasis on his curiosity and work ethic. A well-rounded and continuing education path demonstrates a nimble knowledge base, and hard work that produces results transfers anywhere. By saying yes, and volunteering for responsibilities outside his niche, he was able to build experiences that would translate into other industries. You can accomplish this many times by simply asking. Ask your manager for new responsibilities, pay attention to the tasks on your manager’s plate and offer to help. Ask about education credits and certifications. Many companies are happy to support a good employee’s growth. Regardless of the work you are doing, being mindful to be creative in how you put your skills to work to gain flexible experience, and always be curious and open to new experiences, utilizing opportunities to learn and network. This will help you to dissect your successes into transferrable skills, and will help you to move up in your business or to jump to a new career with success.